Amino acid ornithine possesses calming properties that might help improve sleep quality. Reduce stress and anxiety. Ornithine seems to enhance sleep quality by reducing stress and anxiety. Ornithine is one of the body’s non-coded amino acids. These particular amino acids are not found in the genetic code of the human body, instead created as a byproduct of other biosynthetic reactions. In the case of ornithine, it is created during the urea cycle, an important process for the elimination of ammonia in your gut and disposal of nitrogen through urine. 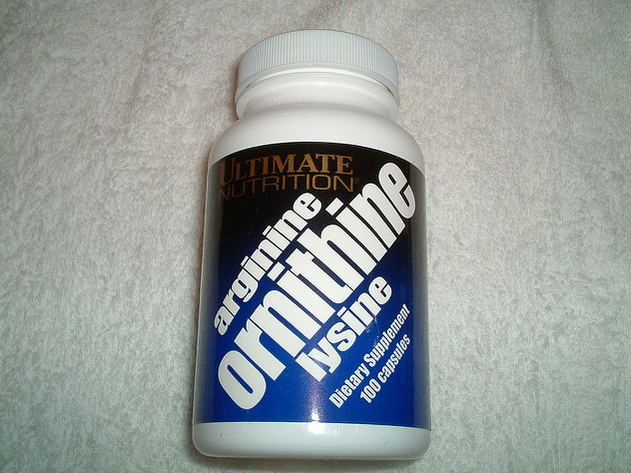 Ornithine is created when the enzyme arginase acts on L-arginine, producing both ornithine and urea. Although ornithine is most commonly used in supplement form for bodybuilding due to its potential for boosting athletic performance, it is also growing in popularity as a sleep aid. Did you know? Ornithine is most commonly stacked with the amino acid arginine, a common pre-workout supplement used as an NO booster. Research suggests that in mice, ornithine can reduce activation of the hypothalamic-pituitary-adrenal (HPA) axis in the presence of stress.1 This reduction is believed to be linked to activation of gamma-aminobutyric acid (GABA) receptors, which respond to GABA, the brain’s primary inhibitory neurotransmitter. By keeping stress levels low through its action on the GABA system, ornithine might promote a calm state of mind conducive to quality sleep. Since activation of GABA receptors also has anxiolytic effects, evidenced by supplements such as kava kava, it follows that ornithine holds the potential to reduce anxiety as well. So far, research suggests that orally administered ornithine can reduce anxiety-like behavior in mice,2 suggesting that anxiety reduction could be a potential way that it improves sleep quality. Although research on ornithine’s utility to promote quality sleep is still in its infancy, its reputation for this purpose is growing fast. Some people report feeling sedated after taking ornithine supplements and claim that it also improves the quality of their sleep. However, more human studies are needed in order to back up ornithine’s use as a sleep aid, and the exact biological mechanisms behind its effects. One theory regarding ornithine’s ability to improve sleep quality hinges on the idea that the accumulation of ammonia in your gut is related to stress. By helping remove this ammonia, ornithine might reduce stress and in turn improve sleep quality. Thus far, human research on ornithine’s ability to improve sleep quality are promising, but limited. A group of 52 Japanese adults participated in a double-blind, placebo-controlled, randomized study with two groups: one that took 400 mg of ornithine per day, and one that took a placebo. After eight weeks, serum measurements of DHEA-S (dehydroepiandrosterone-sulphate) and cortisol were taken, along with measurements of mood and quality of sleep using the POMS (Profile of Mood States), OSA-MA (Ogri-Shirakawa-Azumi sleep inventory MA version ), and AIS (Athens Insomnia Scale). The results revealed decreases in cortisol and improved sleep quality in the L-ornithine group. Ornithine, 400 – 500 mg daily for sleep. Although evidence is limited, ornithine does show promise as a sleep aid. It’s far too early to recommend ornithine for improving sleep, but what little research exists suggests that it can enhance sleep quality through reducing anxiety and stress. 400 – 500 mg is the ideal dose. We recommend 400 – 500 mg capsules as they are the most widely available form, and closest in dosage as that used in the limited, but successful, human research we currently know of. According to current data analysis of sleep subjects, one must intake at least 3 to 4 grams nightly on an empty stomach. It sounds excessive, imo. I tried it and it has worked like a charm.